Did you get to register by midnight? After 3pm, only walk-up at NMS will be available at $499! Click HERE to download the full NMS schedule! Music Insights 20/20: The Future Revealed: These mystics of the music business, masters of analytics and soothsayers of sound share their projections and new visions for where the business is really going. Each will share images that illustrate a new revelation that they have individually unearthed from their respective data and analysis. Then they will challenge each other to go further in predicting alternative futures for the music business. Music In Advertising; A Case Study: What makes music supervisors select a particular song? This Interactive 2-step Movement begins with a creative brief sent to all NMS delegates. Delegates will suggest songs to be placed into a TV commercial and the Conductor will choose a few submissions to discuss live during the Movement. Get inside their heads on the psychology behind emotional needs and effective brand-connection, the six types of songs for sync, and what makes these music supervisors tick. Perhaps your selection will make the discussion. Music Xray's Live A&R Listening and Critique Sound Sessions: A&R Executives from the most important labels will critique music submitted by NMS delegates at this very popular session. See NMS website to find out how to have your music critiqued. Songwriter's Movement: Whether it's pop, EDM, hip hop, rock, R&B or country music...great songs always precede great records. What defines a "hit"in each genre and how can you maximize your chances of writing "the big one?" These successful songwriters share their secrets. Vinyl Resurrection: Vinyl is the only format that has died and come back to life. Vinyl peaked in 1978, cassettes in 1989, CDs in 2000; but only vinyl has experienced 50% growth in each of the last four years. What can we learn from this phenomenon? International Open Forum: Mix, mingle, and meet your next business associate from another land. This discussion will touch up key challenges when crossing borders and how to work in new territories. This will be an open-forum discussion with leaders from different territories leading the discussion. Be prepared to speak up and be heard. Precursor to the Developing World Movement. The Managers Movement: Should artists have a voice in the overall music business? Managers share their optimism and concerns about the direction of the new music business. Ad-Supported Music Streaming: How does ad-supported music streaming fit into the complex new music ecosystem? What is its place relative to un-licensed and "pirate"sites on one side, and subscription sites on the other? American AM/FM radio generates $16 billion a year. Can on-line ad-supported music services ultimately generate even greater ad-revenue? Artist Technology and Opportunities: The State of the Industry: This Movement explores some of the latest technologies and opportunities that are designed to help artists in a variety of ways: create more effectively, promote their music and brand, generate income, and even save money. Women in Music Open Forum: Presented by Women in Music: Women are still far from achieving gender parity in the music industry. Increasing amounts of women are working and taking on leadership roles in the music industry, yet so few hold upper management positions and the final decision making power to guide the industry's future. Numerous studies have shown that businesses experience greater success when women are involved in the strategy development and decision-making at the top levels of an industry. At this crucial time, amidst so much transition, it is not only imperative that a woman's voice be heard but that she be in the position of power to make positive improvements. But how do we get there? How do increasing amounts of women in music gain confidence in their own power to be leaders and take on the challenge? What skills do women need to advance this cause? And, what can the industry do as a whole to accelerate gender parity? This meeting will be presented in a "town hall"fashion, which will allow the audience to provide their thoughts, opinions, suggestions, and solutions for a brighter future for women in the music industry. Touring & Artist Development: As live performance increases in importance relative to record sales, concert promoters have become a bigger part of artist development than ever before. They invest in artists on tour; buying radio, print and online advertising that works to increase awareness of the artists. They have crucial data on ticket buyers that can help grow fans for developing artists. They create events that concentrate fans and build careers. Promoters, managers, agents and label representatives look at the live business and new opportunities for artist development. Independent Labels: The independent labels became organized 10 years ago with the founding of A2iM. A few years later, Merlin was founded. Independent labels control 35% of sales market share, and of streaming market share, probably more than that. As we enter Indie Week, we ask why independent labels continue to grow market share each year? Why are independent labels responsible for the birth of every new genre and a disproportionate share of the most important artists in history? Why might independent labels be a better choice for artists than majors? "The Situation"A live reality show about the music business: A label, distributor, manager, marketing company are releasing a project. Creating a marketing plan, reacting to changes in the artist and management situations while maximizing exposure and monetization for the project are the challenges. The scenario will suddenly change several times during the session and participants will have to react and work with the change to bring the project home. 421 West 54th St. pioneer, Craig Anderton, along with Jimmy R. Landry will interactively cover new approaches to songwriting for the modern-day musician. See full NMS Programming here. Online Pre-Registration Closes 3:00 PM TODAY! Only Walk-up at a higher price will be available after midnight.So...REGISTER NOW! 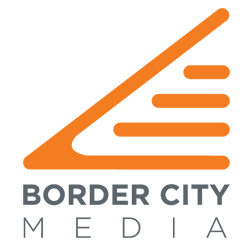 Border City Media is a New York-based music technology company that is in development of a unique set of services that will revolutionize the way businesses analyze entertainment consumption and related trends. BuzzAngle Music, the first in a series of Border City Media services that will also include BuzzAngle Movies and BuzzAngle Books, provides a state-of-the-art music consumption service that analyzes the daily sales, streaming and airplay activity of albums, songs and artists. BuzzAngle Music is currently in a limited beta test and has a planned public release in the fall of 2015.
cür music will be a music experience like you've never seen! a social, mobile, and web streaming music application that is being designed to enable users to go beyond the limitations of traditional music streaming services. 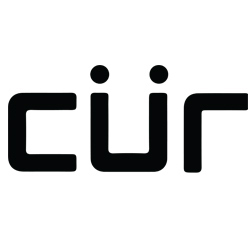 Upon its release, cür music will unlock the true expressive nature of an individual's connection with their music by fostering personalization, sharing and creativity. With cür music it's not just about streaming, it's about what the music means to you and how you want to express that to the world. SX 101 / "Money in Your Pocket"
Does Living in the Past Provide a Vision for the Future?